If you are fortunate to be a lover and maker of type, typography and graphic design, then the SVA Masters Workshop: Design Rome, now in its tenth year, is the immersive typography experience for you. 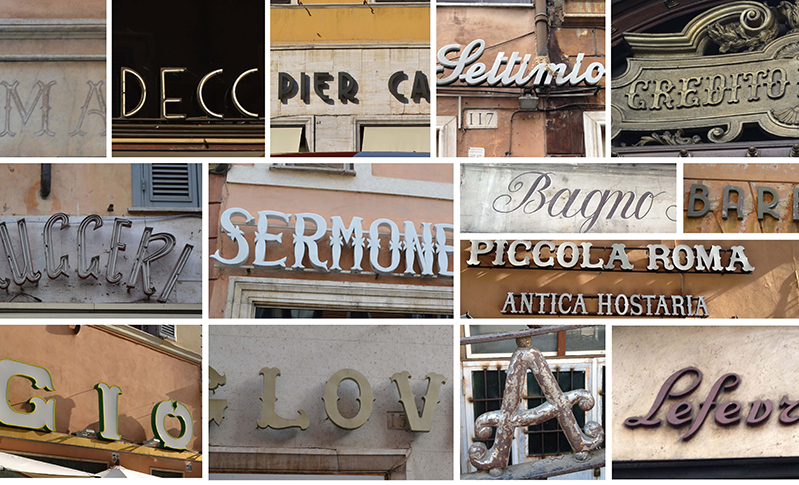 Studying how to transform the vernacular signage of Rome into your own alphabets and lettering is just one of the many activities that await you. Our faculty members, from Louise Fili to James Clough, experts in the history and production of Italian letters will help you dig deep into the heart of Western typography and integrate it into your own practice as an inspiration and tool for contemporary work. Join the Summer 2018 community of designers and design scholars as we explore, discover and create in this incredible city of light.